Jewish learning is at the heart and soul of Judaism, and adult education is one of the strategic pillars supporting that learning at CBSRZ. 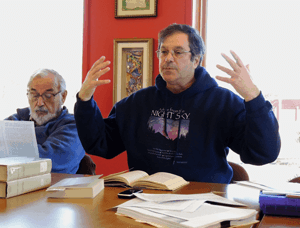 We have many different people within our community working together to develop programs to shape our congregation into a vibrant center for Jewish learning. 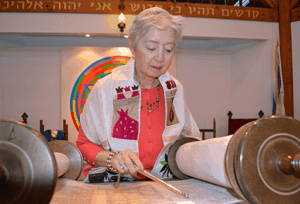 From the arts to language learning, from Torah study to current events forums, from forays into the history of our Jewish heritage to recording the living history of our own congregants, Jewish learning at CBSRZ has many different dimensions. The Adult Education committee coordinates with congregants and other committees to support all of these opportunities and to devise even more ways to facilitate such engagement in the future. So whether it’s informal roundtable discussions of the current events such as Israeli-Palestinian issues or more formal forums in which speakers with differing viewpoints discuss current issues…or introductory and/or advanced Hebrew classes for adults led by CBSRZ’s supportive Hebrew teachers and introduction to Judaism classes conducted by Rabbi Goldenberg…or history classes that explore the past or our Scholar-in-Residence Program where a renowned scholar spends the weekend immersing us in his or her field of expertise…or field trips to Jewish places of historical importance and site visits to Jewish museums … adult learning at CBSRZ is dynamic and far reaching. 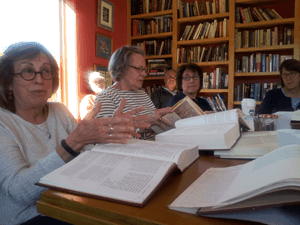 And, of course, adult education opportunities include established CBSRZ traditions which contribute to the enrichment of our entire community, including the Rabbi’s monthly Lunch & Learn sessions, Yiddish Club meetings, and Holy Scrollers every Saturday morning attended by congregants and non-congregants alike.